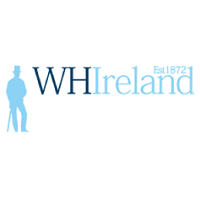 WH Ireland Group Plc (LON: WHI) today announced two directorate changes and a trading update for the period since its half year ended 30 September 2018. WH Ireland confirms that, subject only to FCA approval, Philip Tansey, will be appointed as Finance Director of the Company and will join the Board. As previously announced, Philip joined WH Ireland as Head of Finance in December. This appointment and that of the new Head of Wealth Management, Stephen Ford, reflect our new CEO Phillip Wale’s intention of putting in place a leadership team to position WH Ireland for future growth. Click WHI for the full archive.